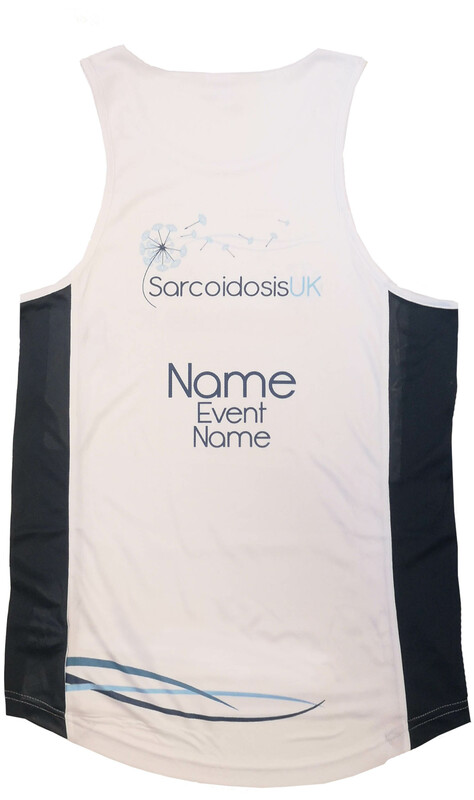 This is product is a white sleeveless sports vest top. It includes a navy blue contrast side panel design with a racer back style. 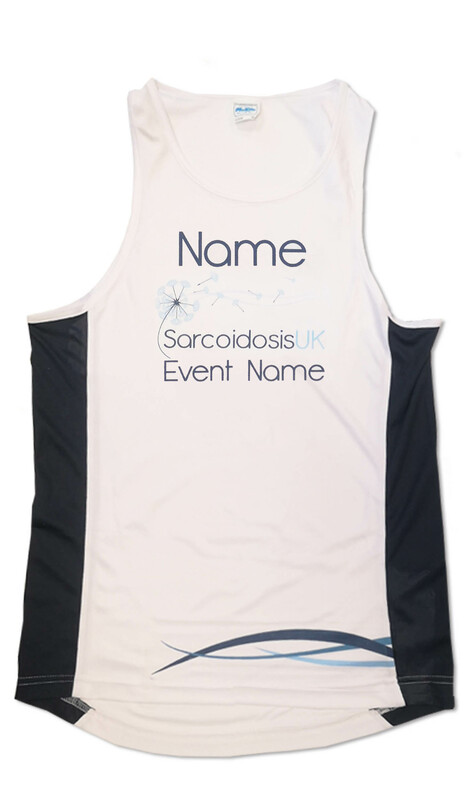 Furthermore, it incorporates the personal design of the charity so that you can spread awareness at you fundraising event. Can also include a short personalised message upon request (e.g. in loving memory…). 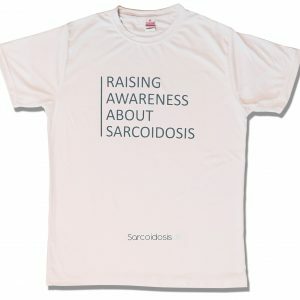 If you do not wish anything, you can leave it blank to receive a standard SarcoidosisUK vest. It is perfect for any occasion when you are building up a sweat, whether it is a marathon or a obstacle course! This modern marvel is made 100% polyester, and is machine washable, though we do recommend that you turn the t-shirt inside out to prevent the design from fading. Nice top, but think the printing would be better on the front rather than the back to get support from people in front of you. I got Decathlon to copy the writing.